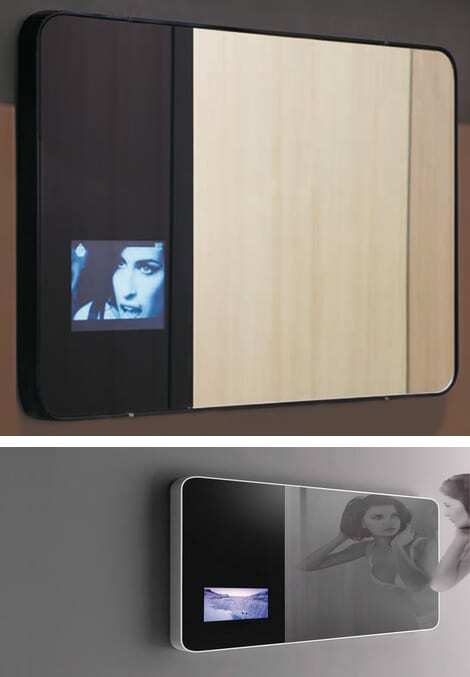 Mirrors and televisions are certainly two items that are best when mounted on the wall, and the Hi Mirror from Valli Arredobagno combines a multi-media experience in the most unlikely of places. This super sleek series of six modern mirrors are in addition to a great place to see a likeness of your self, a weather station, clock, radio, and even a television. Designers Gabriele and Oscar Buratti wrapped the stylish “Hi Mirror” with a black or white lacquered metal frame on the outside, and everything you need to be entertained in your bathroom, bedroom, or living room on the inside. This is a great example of how the electronics, and home furnishings makers are integrating their products together in smaller multi-functional items intended to save space and make our live better.